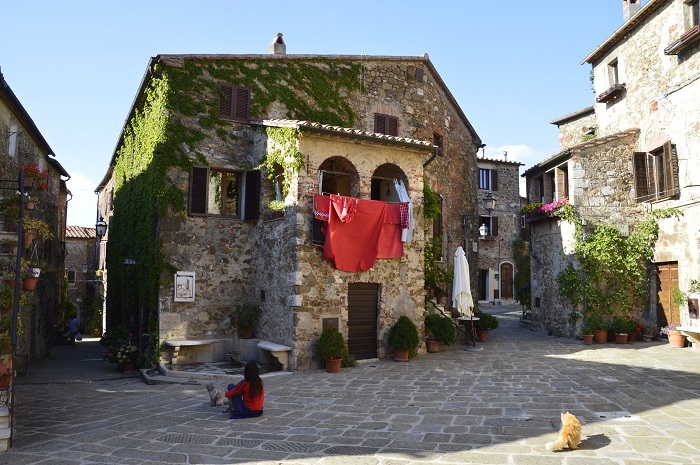 Whether you were inspired by our article on moving to small town Italy or you’ve always dreamed of living la vita bella, a sea change to the land of the gelatos isn’t for the faint hearted. I moved to Italy half a decade ago, but unlike most expats, I found myself far from Florence or Rome. I was (and still am) in a small town in Southern Tuscany. Population: 5,000. Population under 80: 100. Manciano is the sort of town where the cinema stops the film halfway through for a coffee and cigarette break and the locals have known each other and each other’s business for generations. It sounds beautiful. If you’re a pensioner. For a twenty-something with a degree in Marketing and Communications, the career opportunities were pretty limited. A Burger King opened in our provincial capital and 1,000 people applied for 30 positions, which about sums it up. But it’s not all doom and gloom. If you simply cannot resist the siren’s call of small town Italy, here are some tips for finding work. If you’re a native English speaker, you have a career in the palm of your hands, no teaching experience or degree required. Approach a local organization, club or your town council and broach the idea of setting up a language school with them. Not only will they be able to rent you a space, but they’ll also provide you with valuable credentials. In towns where everyone knows everyone, you need a local to help find students and get the word out. Otherwise design flyers with information about classes or private tutoring. Then approach a cartoleria to print them. Some towns require you pay a small tax to display your posters, but the cartoleria will take care of that. Put your posters up in schools and the local supermarket. Most Italian parents will be clamouring for a native English speaker. If you’re confident in your skills, speak to your elementary or secondary school. There is a new Italy-wide initiative where native speakers with a university degree (it doesn’t have to be in teaching) can be hired by schools for certain projects. You will normally have to participate in what is called a “bando” or concourse. Most schools look for English teachers in December-January to help their students prepare for Cambridge exams. You don’t need to speak Italian to apply. In fact, they usually prefer you don’t. If teaching isn’t in your cards, turn your gaze to tourism. It’s a no brainer. Hotels and restaurants love native English speakers and even the smallest Italian towns attract tourists. My Tuscan council has 200 B&Bs alone. In nine out of 10 cases though this will be seasonal work. Unless you can score a receptionist job at a huge hotel, you can expect to work from mid-April to September. Since job postings are rare, the best thing you can do is hand your CV out to the local businesses and speak to the owners personally. In Italy, business is always done in person and they might not realize they need you until you convince them they do. Translating is another option. You can do it anywhere there’s an internet connection and demand is high for native English speakers. Of course, you need a good knowledge of Italian. Search online for translating companies and registries and reach out to them with your CV. Otherwise try going solo and creating a website for your services. When all that fails or you simply can’t imagine doing anything other than what you trained to be, head to the nearest city. If you’re lucky enough to live near a train station or don’t mind a long commute, Italy’s cities remain the best place to find work and Trenitalia is reasonably reliable. Italy doesn’t really have job websites like those you might be used to at home, so the best place to look is actually LinkedIn. After you sign up and enter your credentials and interests, the website supplies you with a selection of expat-friendly jobs. Beware, it’s easy to become demoralized when you see 5,000 other people have applied for the same position. Living in small town Italy doesn’t have to be a curse. For some expats, it’s a blessing. Plenty have embraced the limited traditional career opportunities available to them and used it as motivation to do what they love. I get by as a freelance journalist and translator, but I know expats who have written cookbooks, become bloggers and opened their own boutiques and restaurants. The things that make you different and, for want of a better word, strange in your small Italian town can also be a means to making money. There are so many things that haven’t made it big in small town Italy yet from cupcakes and tea to DIY blogs and wedding planning. Whether you’re branching out on your own or applying for a job, always reach out to your accountant to make sure you have the fiscal side of things covered. And talk to your fellow expats. There are plenty of blogs, forums and Facebook groups for Italian expats. These are great sources of inspiration and support. The ITALY Magazine staff also highly recommends you send all of your 'life in Italy' related questions to our friendly online forum.